Quintessential rock band Guns N' Roses, notorious for their larger-than-life, bombastic shows that engulf every fan, are the first act to be announced for the return of Louder Than Life. This year the festival will be headed to its new home at the Highland Festival Grounds At KY Expo Center on Friday, September 27, Saturday, September 28 and Sunday, September 29. This will mark the debut of the Guns N' Roses lineup at the Louder Than Life festival and is the first appearance for the rock giants since performing in Hawaii in December 2018 in association with the Andy Irons Foundation. Sending fans into a frenzy since the Not In This Lifetime Tour kickoff in 2016, Guns N' Roses has the number 2 highest grossing tour of all time, and has performed an astounding 150+ shows for over 5 million fans to date in stadiums, arenas and as part of festivals worldwide. "There are only a handful of bands through the years whose music not only resonates with fans, but changes the entire face of rock 'n' roll. 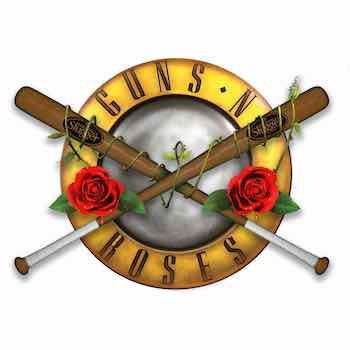 Guns N' Roses is one of those true icons," says festival producer Danny Wimmer. "Every year we want to come back bigger and better, and we can't wait to welcome Axl, Slash, Duff and the rest of GN'R to the Louder Than Life stage." Following the group's 1985 formation, Guns N' Roses injected unbridled, unrivaled and unstoppable attitude into the burgeoning Los Angeles rock scene. They went on to captivate the entire world with the 1987 release of Appetite For Destruction, which remains the best-selling U.S. debut album ever, moving over 30 million copies globally. Appetite features such indelible tracks as the No. 1 single "Sweet Child O' Mine," "Welcome To The Jungle," "Nightrain," and "Paradise City." Guns N' Roses are one of the most important and influential acts in music history and continue to set the benchmark for live performances, connecting with millions of fans across the globe. Guns N' Roses are Axl Rose (vocals, piano), Duff McKagan (bass), Slash (lead guitar), Dizzy Reed (keyboard), Richard Fortus (rhythm guitar), Frank Ferrer (drums), and Melissa Reese (keyboard). Since 1993, music industry veteran Danny Wimmer has been producing concerts and festivals, both large and small. In 2011, he formed Danny Wimmer Presents, which now produces several of the largest music destination festivals in the U.S. By combining A-list talent with local cuisine and culture, DWP has become recognized within the industry for delivering the highest-quality entertainment experiences to fans, artists, sponsors, partners and host cities. DWP creates memorable and all-encompassing festival experiences, leaving both consumers and partners with lasting and meaningful impressions. DWP will continue to add new music festivals to its already stellar portfolio, which currently includes Aftershock Festival, Bourbon & Beyond, Chicago Open Air, Epicenter Festival, Hometown Rising, Louder Than Life, Sonic Temple Art + Music Festival, and Welcome To Rockville. Previous DWP festivals include Rock On The Range, Carolina Rebellion, Northern Invasion and more.